All Heath homes currently listed for sale in Heath as of 04/20/2019 are shown below. You can change the search criteria at any time by pressing the 'Change Search' button below. If you have any questions or you would like more information about any Heath homes for sale or other Heath real estate, please contact us and one of our knowledgeable Heath REALTORS® would be pleased to assist you. "The Estate of Sunset Shores comes into view as you crest the hill. You feel the anticipation build as to what awaits within the gated grounds. 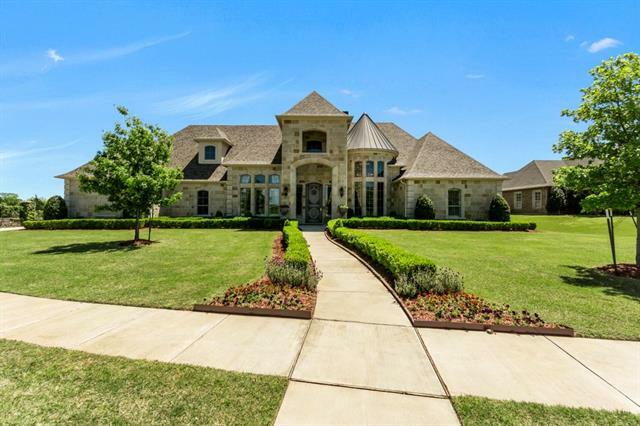 Built on an exquisite 1.5 acre waterfront lot on Lake Ray Hubbard, this is a property with luxury details throughout. As you enter the grand foyer breathtaking lake views beckon you outside to explore the oasis. The infinity pool with swim up bar and lakeside fire pit easily rival the finest resorts. 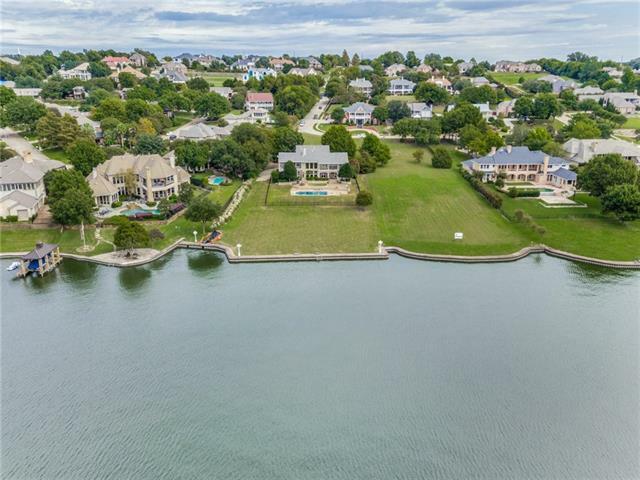 Back inside you can imagine negotiating your next big d"
"Seated on over 2.5 manicured acres and with 440 feet of westward facing lakefront, this French-inspired masterpiece is one of the most desirable estates on Lake Ray Hubbard. The imported limestone and centuries-old French doors bring the look and feel of historic Versailles to North Texas with amenities ranging from tennis courts and 50ft saltwater pool with Pennsylvania bluestone decking to the guest house and 1200 bottle underground wine cellar, this 8,000+ sq. 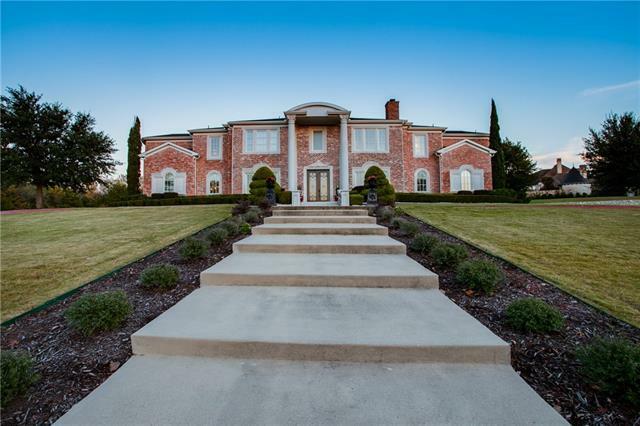 ft chateau combines Old Worl"
"Just a 25 minute drive from Dallas, Texas in the Lakeside resort community of Heath, this majestic 31.58 acre AG Exempt, Country French inspired estate is truly a rare find. 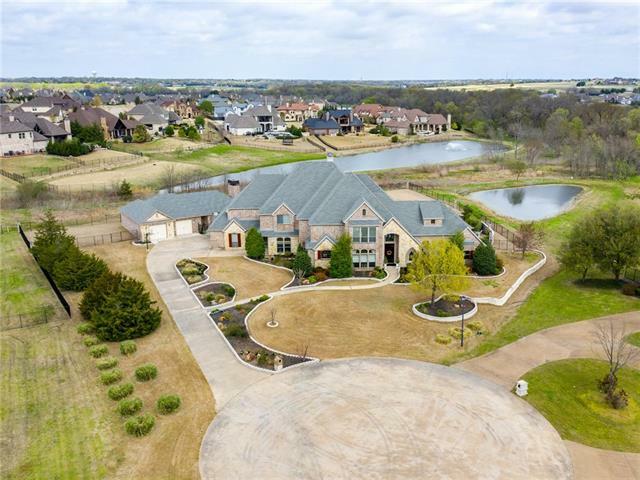 Not much further than a stone s throw from the shores of Lake Ray Hubbard, bask in daily million-dollar views of rolling hills, mature pecan trees, a tranquil pond and heavily tree covered creek. All the space and privacy one could ever need is here, along with dual gated entries. 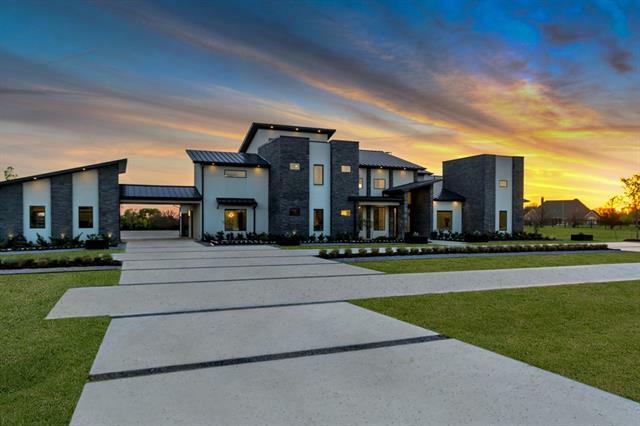 Fully equipped for the equestrian lover; t"
"This Texas Modern Contemporary is an exclusive legacy design concept built by Mabry Custom Homes defining luxury living at its finest. 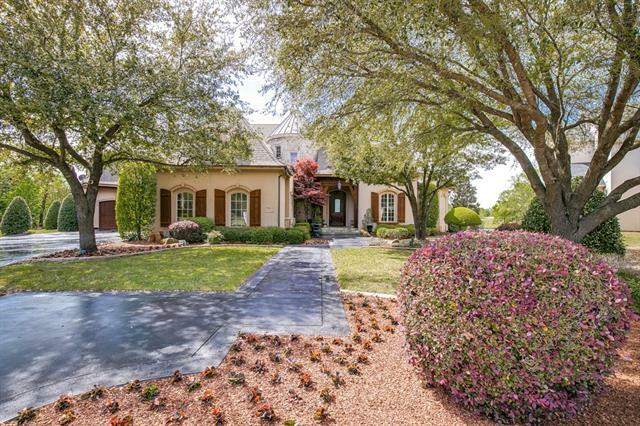 Located in one of the most affluent and sought after cities in all of Texas and positioned on a one-acre corner lot. Showcasing immaculate interior features, as well as custom steel doors & windows, stand and seam metal roof, and exposed timber-steel beams with custom flashing. 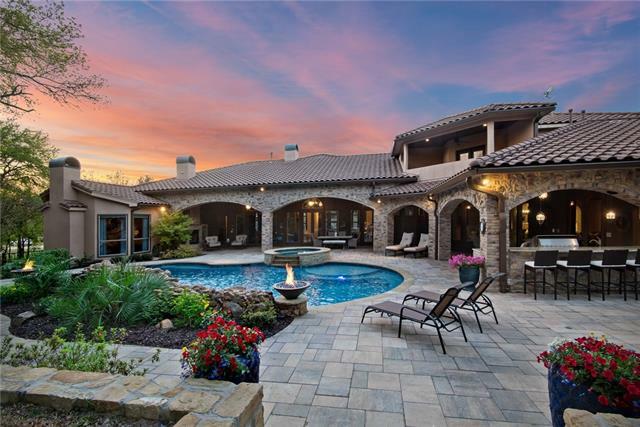 Resort style outdoor complex highlights: custom design salt water pool, spa, firepit, "
"This rare 7.88 acre lakefront in Heath TX offers a panoramic view of the main lake to the North and the East shoreline plus breathtaking sunsets to the West under large oak trees. A deep-water retaining wall protects 427 feet of the waterfront and acts as a boat dock. Two water wells backup the lake pump for irrigation. This is perfect for a large estate home. Property includes four platted waterfront lots. Boat dock OK. The property is Ag-exempt for Wildlife Management." "Extraordinary home architecturally designed with distinguished ingenuity and timeless elegance. This new construction meshes modern design with a rustic elegance. 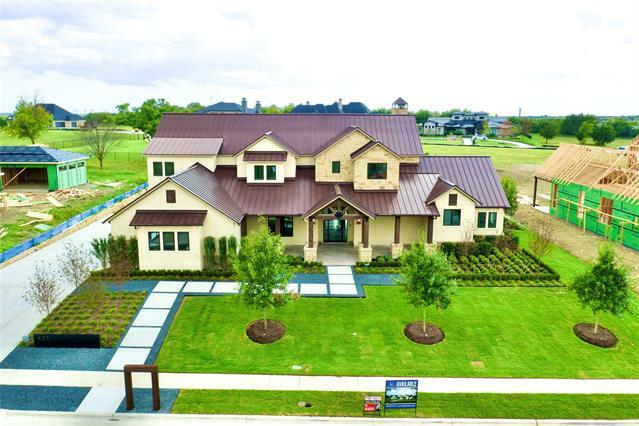 Mabry Custom Homes showcases this 2-story home in the exclusive Ridge Lakes of Heath development. 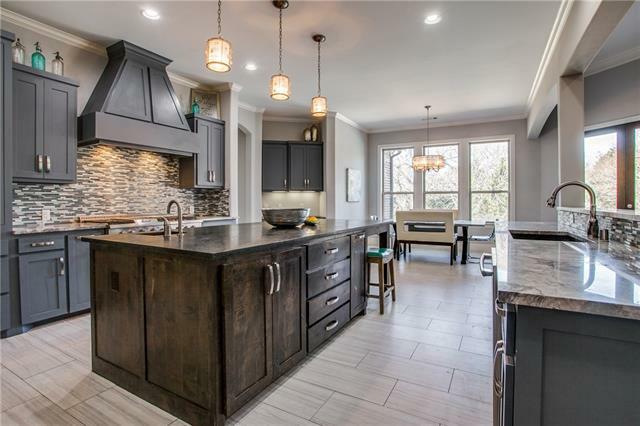 Exceptional quality throughout including Sub-Zero Wolf Pro Series, Asko, and Scotsman products for the gourmet kitchen, soundproofing between walls & floors 21 SEER Lennox HVAC, natural stone countertops and smart home technology." "Come experience the serene sunsets right out of the backyard! 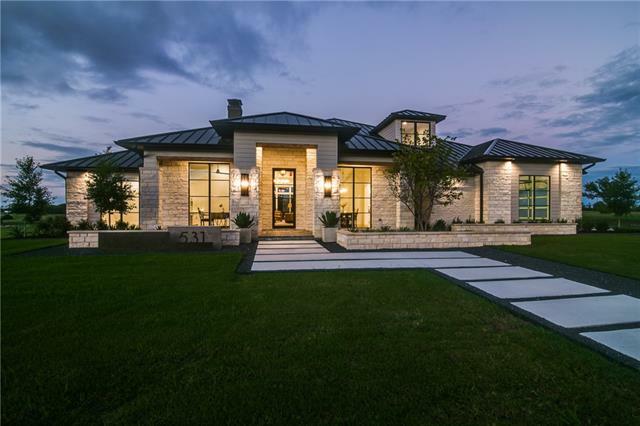 Majestic Modern custom craftsmanship built by D Home Best builder of the year for 11 consecutive yrs, Rick Shipley Custom Homes. 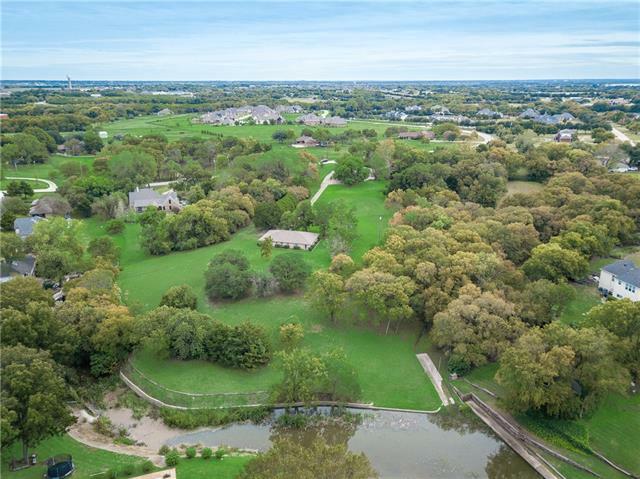 Exquisite lakeview lot on .834-acres beautifully positioned as the centerpiece in Ridge Lakes of Heath! A story of timeless sophistication features a gourmet kitchen, , mini master for mother-in-law, designer marbles, custom metal standing seam roof, screened AC patio, 5 white oak hardwoods, and a suspend"
"This astonishing modern home on gated 4.68 ac features impeccable design & meticulous attention to detail in every single space. 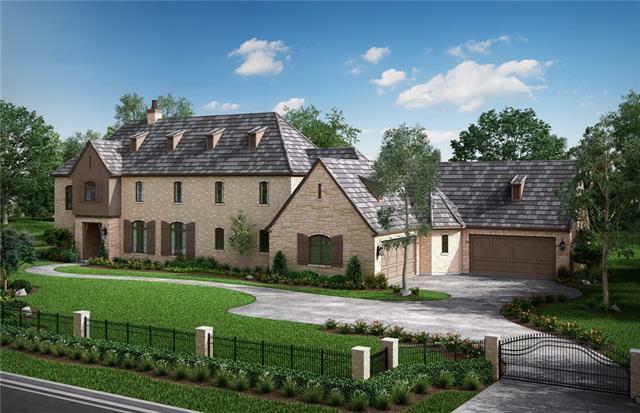 Located 30 mins E of Dallas, this super chic residence was meticulously designed to create a luxurious environment in an open and yet inviting floor-plan. The vast kitchen compliments the bar, media rm, family rm, & dining rm. Perfect for entertaining & awaits to create memories with family and friends. Luxurious resort style master suite overlooks stunning outdoor liv"
"Le Ruisseau is an exquisite luxury estate sitting on 43 acres; featuring individual private gated entries, with mature tree lines accentuating a natural screen of seclusion and a spanning greenbelt with a palatial wooded creek. 17 lots ranging in size from 1.003 to 8.281 acres provide an opulent estate to build the home of your dreams. Nestled in the heart of Heath, TX, provides swift access to Terry Park, Terry Park Boat Ramp and endless family fun at the Rockwall Harbor. Just 25 minutes down I"
"Contract early and pick finishes! Gorgeous custom home by CS Home Builders. 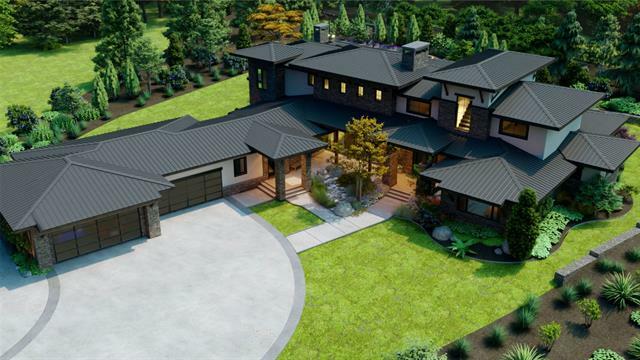 5250 sqft and Stucco & stone exterior with metal standing seam roof. Luxury living & entertaining space, transitional finishes with attention to detail including museum wall finishes, natural walnut floors, Wolf & Sub-Zero commercial grade appliance package, Marvin windows & doors. Exceptional open concept floor plan with great room, study, mudroom, 5 bedrooms and a second living space or game room upstairs along with s"
"Gorgeous Mediterranean Custom with separate GUEST HOUSE situated on treed 2.24 ACRES. Outdoor living areas & newly constructed saltwater pool with water & fire features & spa complete this stunning & expansive outdoor oasis. Guest house does not disappoint with master suite, open kitchen, living room & office. Gourmet kitchen design with island and commercial grade appliances opens to large family room, adjoining separate game & media rooms. Formal living & dining rooms with double-sided stone f"
"With your first glimpse of this spectacular Tuscan Villa, you ll instantly feel transported to a breathtaking residence in the Italian countryside. Over 6500 ft of top to bottom luxury living masterfully positioned on an extremely rare and heavily treed 2-acre lot with pond. The backyard-pool area is truly spectacular and easily rivals the finest resorts anywhere. 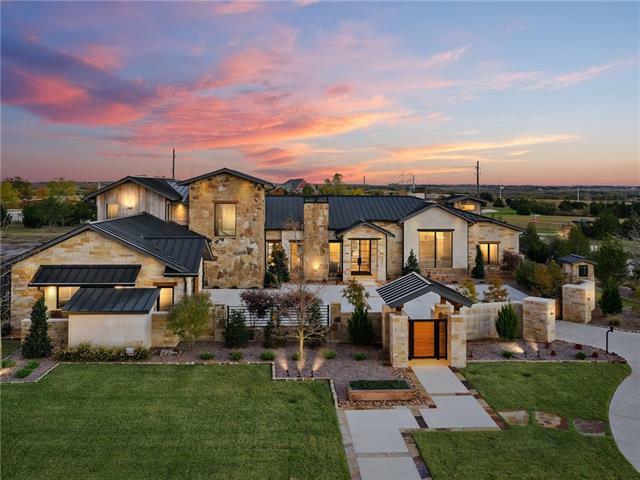 Features include 2 pergolas, fire pit, private nature trail, yoga-meditation area and an incredible Cabana-living area all in compl"
"Luxurious Custom Home on a lush acre & corner lot situated in desirable Cobblestone Farms. 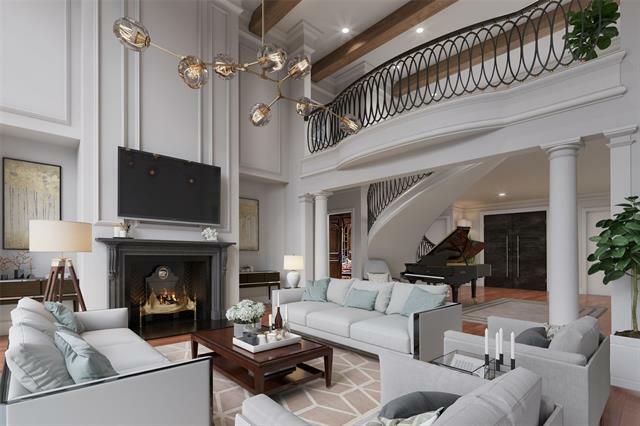 Grand home showcases 6 BRs, 5.1 BTH, 2 limestone fireplaces, hand scraped hardwood floors, office with domed ceiling, dining room has stunning cathedral ceiling, built-in buffet & wine racks with exquisite chandeliers. Chef style kitchen opens to breakfast room & spacious family room all with breathtaking views of the sunset. The master bedroom is a private retreat, has custom walk in closet with secret en"
"Hot new multi-family listing! 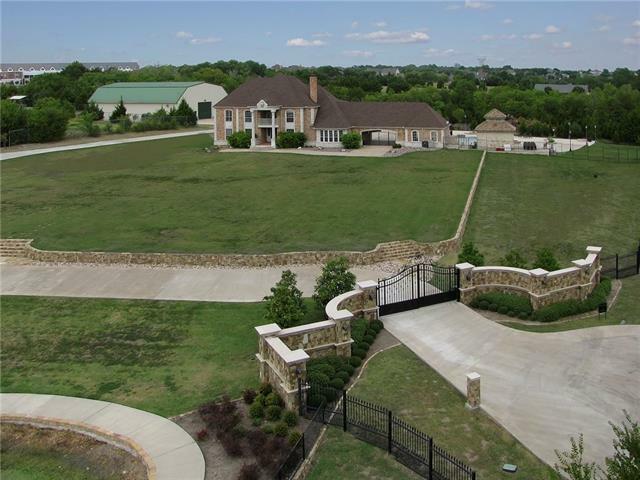 Unique opportunity to own three nice homes on 17+ acres in Heath, across from Rockwall Heath High School. Four adjoining parcels of land, most of it zoned farm and ranch. In addition to the three homes, there is also a 1000 square foot outbuilding which can be used for storage or convert to more living space. Beautiful trees, pond, gated entry to one of the homes. Two of the homes are currently leased for $2000 per month, and the other one is vacant, and leases for "
"Gorgeous one of a kind lakefront property! 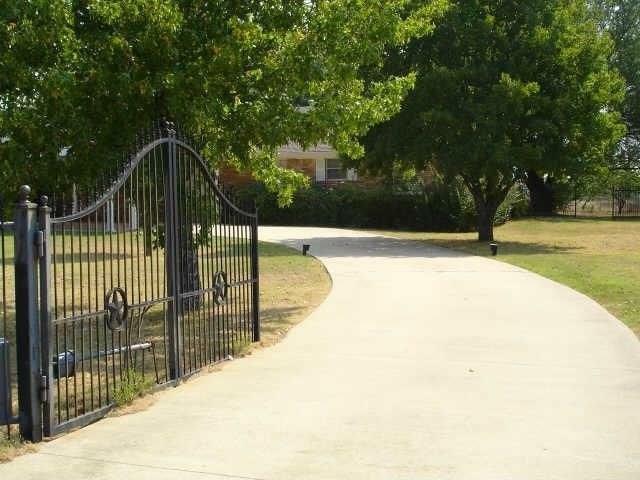 4.7 acres on a beautiful rolling hill with mature pecan and oak trees, 2 homes, shed, greenhouse,pond and barn. Second house and barn need work. This is a fisherman's paradise! Property backs up to lake inlet for Ray Hubbard. Boat dock can be allowed with permission from City of Dallas. You can live in present houses or build your own! Sit on the deck and enjoy the view! 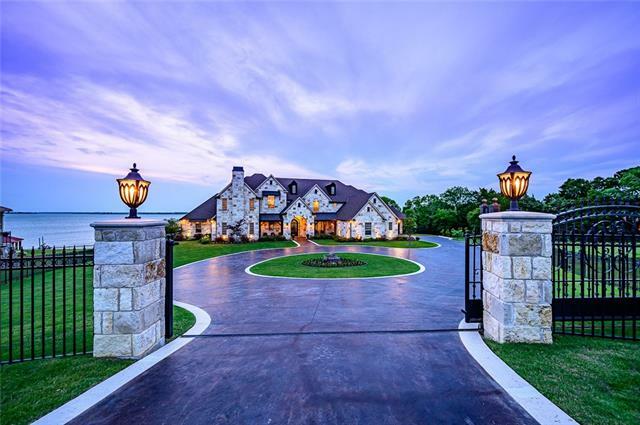 Main house is pier and beam with open formal living, dining area that flows into"
"Exceptional Executive Waterfront Estate Property on the shores of Lake Ray Hubbard. 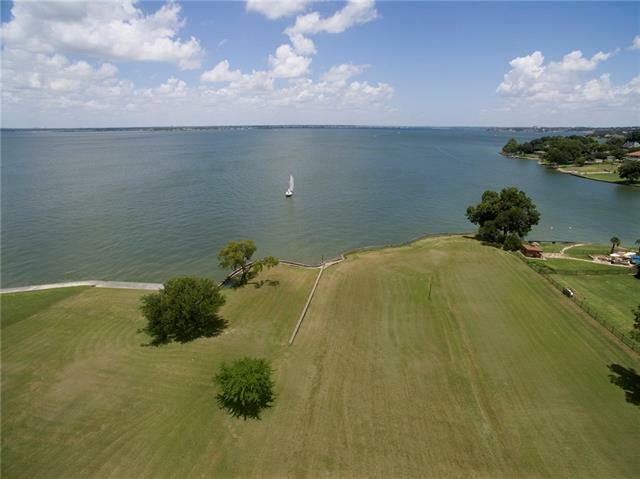 Amazing views of sailboats, sunsets, the Dallas skyline, and the marina at Chandler's Landing. This approx. 1acre, waterfront estate with timeless architecture, in sought-after and convenient Heath location, offers 4 bedrooms, 4 baths, 3 living areas, 2 dining areas, study-library, a gourmet granite kitchen, wet bar, pool with attached spa, seawall, circle drive with fountain, 3 car garage and much more. If a "
"Stunning luxury estate located in the prestigious neighborhood of The Ridge. Inviting entryway with soaring 20ft ceilings. Gorgeous granite & custom cabinetry + top of the line appliances complete your gourmet kitchen. Large private master suite includes a relaxing sitting area with fireplace & spa like master bath. Travertine natural stone floors, custom trim work throughout. California style spacious wine cave. From various areas the oasis backyard retreat with custom diving pool, spa, & an e"
"Custom Build by Parkview Homes. Modern lines with Rustic features. Shiplap walls, beams, beautiful tile selections, glass cabinets in kitchen, butlers pantry, shelving and detailed ceiling features in the office. Beautiful neighborhood. Great School District. Upstairs Large Room is also plumbed for a bathroom if a 5th bedroom is needed. Living, Formal Dining, Breakfast area, guest room, master, game room 1 and mini master is down. Upstairs is Media or large 5th bedroom, bedroom with bathroom, ga"
"Only 15 mi from George Bush Frwy-190, this renovated exquisite Estate style gated custom home on 6+ acs, move in ready & features port-o-cache,private pond,extended drive, 6,000 sq ft barn, & office space w-bathroom facilities,heated saltwater infinity pool-spa, outdoor lvg-summer kitchen area w-outdoor FP, commercial style playground,cabana, pergola-gazebo,fire pit & picnic area!Huge master suite features beautifully detailed master bedroom w-fireplace & sitting area & opens onto large balcony "
"Inviting, warm custom home on private 2.35 acre cul-de-sac lot near Lake Ray Hubbard! This home features 4 bedrooms on the main including spacious master suite with stone fireplace and sitting area, spectacularly renovated master bath and view of backyard oasis. Formal dining rm, executive office with wrought iron double doors and built ins. Game rm with fireplace, wet bar, and media room all on main level. Chef's kitchen has 2 expansive islands, double ovens, warming drawer, double sinks and qu"
"Luxury estate in one of Heath's most sought-after gated communities, just under 2 acres, only 25 min. from downtown Dallas. THERE IS A 2.5% INT. ASSUMABLE LOAN FOR QUALIFIED BUYERS! This home is an entertainers dream: 6 BDRM, 6.3 BTH, 1,200 sf guest house, & beautiful backyard oasis, 2 mstr suites, grand entrance, stunning staircase, updated kitchen, study w built-ins, mstr suite w fireplace, his & hers bathrooms, game & media rooms, fresh paint, custom details throughout. Sparkling pool, spa, &"
"A beautiful acreage lot in Heath loaded with trees, subtle terrain and character; Would be a wonderful large custom estate lot or could be developed into multiple five acre to one-half acre custom single family home lots; Check with the City of Heath for development opportunities. This homes value is in the land it sets on. The house needs foundation and other repairs. Could be temporary living while you build your dream home back in the trees or could be a rental while you hold the prope"
"MAGNIFICIENT WATERFRONT & GOLF COURSE ESTATE IN BUFFALO CREEK! 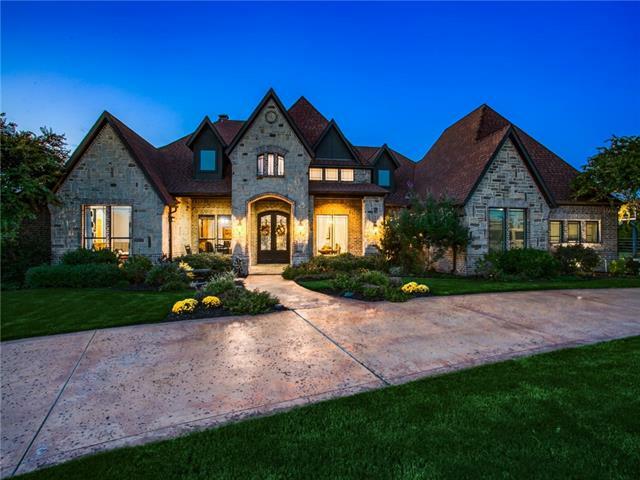 Situated on what many consider the best golf course location in Rockwall County, this home was built by Rick Shipley as a Tour Model Home. Beautiful Sunsets, water views, golf course views, privacy and much much more. Backyard oasis w-covered outdr living, built in grill, infinity pool, plenty of yard space for the kiddos to play. With 5 Beds, 4.1 Bath & 5800+SF, there's room for everyone! Lots of natural light, 3 fireplaces, elec sh"
"Experience luxury living in this breath taking Heath home. Situated within the gated community at Shepherds Highlands built in 2014 by Riverstone Homes. 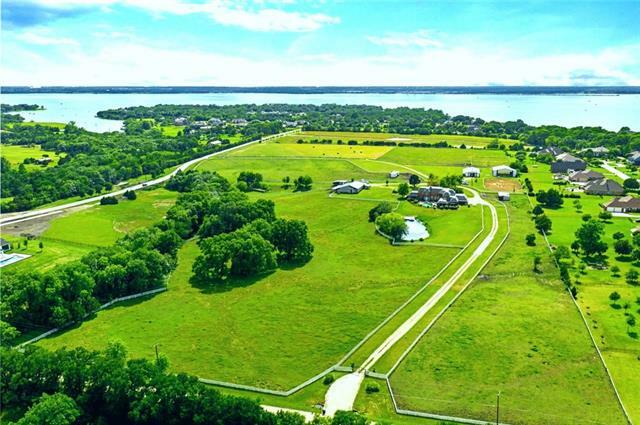 Close to Lake Ray Hubbard with great local schools. This high efficiency home has tons of updates. Soapstone and Quarts countertops in kitchen, Carrara marble floors and countertops in master bathroom, Duel shower head, spa like soaking tub. It's Pre-wired inside and out for surround sound, Outdoor cooking area and Modern Salt Spa and pool, ever"